Back in the nineteenth century Father Frederick Faber famously wrote that the Mass was the “most beautiful thing this side of heaven.” As every Mass is a re-presentation of Calvary, and the altar itself the place where heaven and earth meet, one can understand why Saint Peter Julian Eymard called the Holy Sacrifice the “holiest act of religion.” Understanding all of this to be true, is it any wonder that more of the faithful are seeking a liturgy which seeks to restore a sense of the sacred? 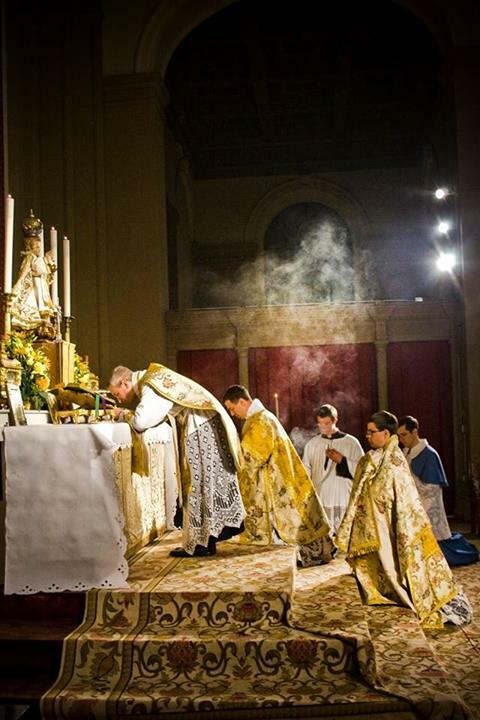 For many, the Traditional Latin Mass is fulfilling just such a need. Rediscovering the manner in which the Church has worshipped for centuries has helped a growing number of Catholics to encounter the Lord more deeply. What many are realizing is just how effectively, and beautifully, the traditional Masses engage our senses. Indeed, it is a Mass for all senses.